In early April, the ten finalists in the Rebuild By Design competition unveiled their proposals to protect the Tri-state region from the next Sandy. And in the near future, a jury will select a winner—or winners—to receive federal funding to pursue their plans. But before that final announcement is made, AN is taking a closer look at each of the final ten proposals. Here’s how the team led by HR&A/Cooper Robertson plans to bring resiliency to the East Coast from the Rockaways to Red Hook. 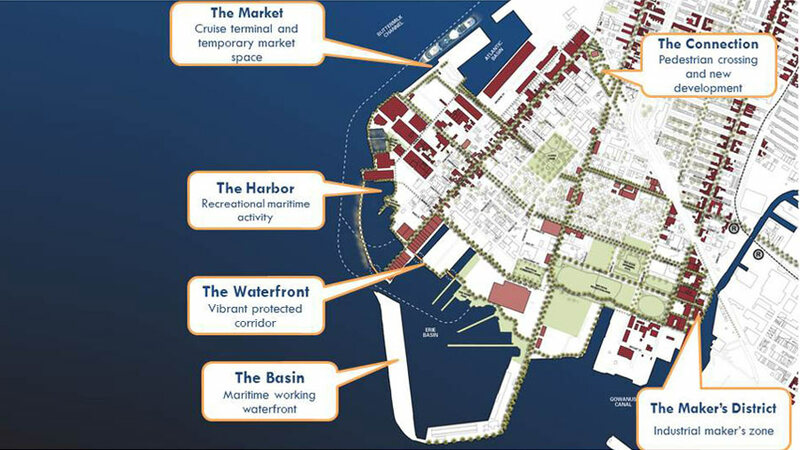 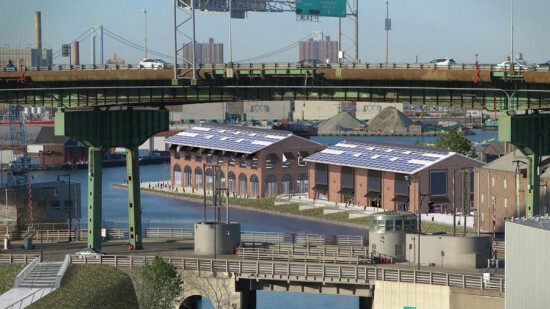 In Red Hook, they create the “Maker’s District,” which includes dry and wet-flood-proofed buildings, as well as a raised promenade to promote public access to the water. 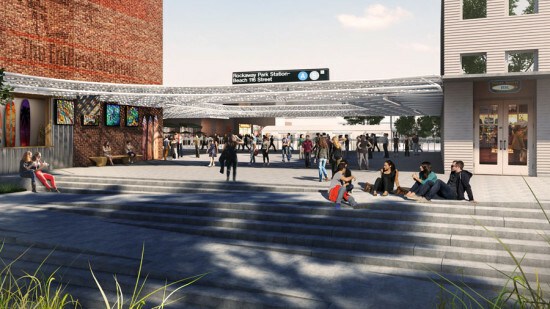 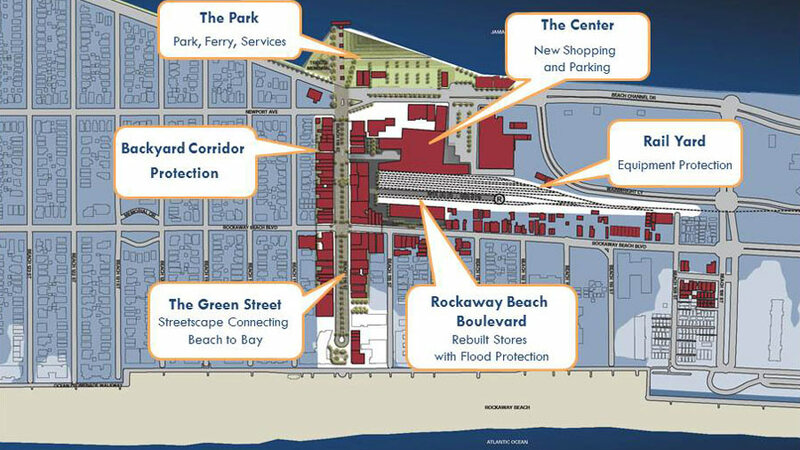 In Far Rockaway, the team invests in transportation infrastructure and a revitalized commercial corridor. 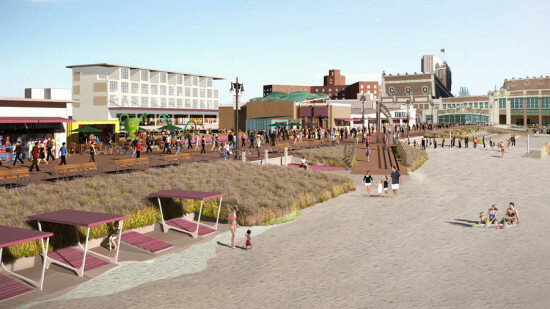 And in Asbury Park, flood protection measures are put in place to protect the beach and local businesses. 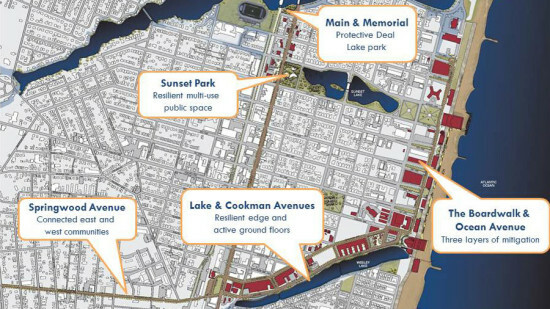 The team includes HR&A Advisors with Cooper, Robertson & Partners; Grimshaw Architects; Alamo Architects; Langan Engineering; W Architecture; Hargreaves Associates; and Urban Green Council.